POE IP CAMERA: The Advanced POE Technology enables you to use a Single Network Cable for both Video and Power Transmission, which makes the wiring simplified and installtion easier. We also provides an extra adapter for power supply replacement if you don't use the POE Function. 1920*1080 HD: Superior Full HD 2 Megapixel Video Resolution, 3.6MM fixed lens, and advanced 3D dynamic noise reduction technology. This offers you Seamlessly Stream Video and really clear and true images as most of our reviews stated below. 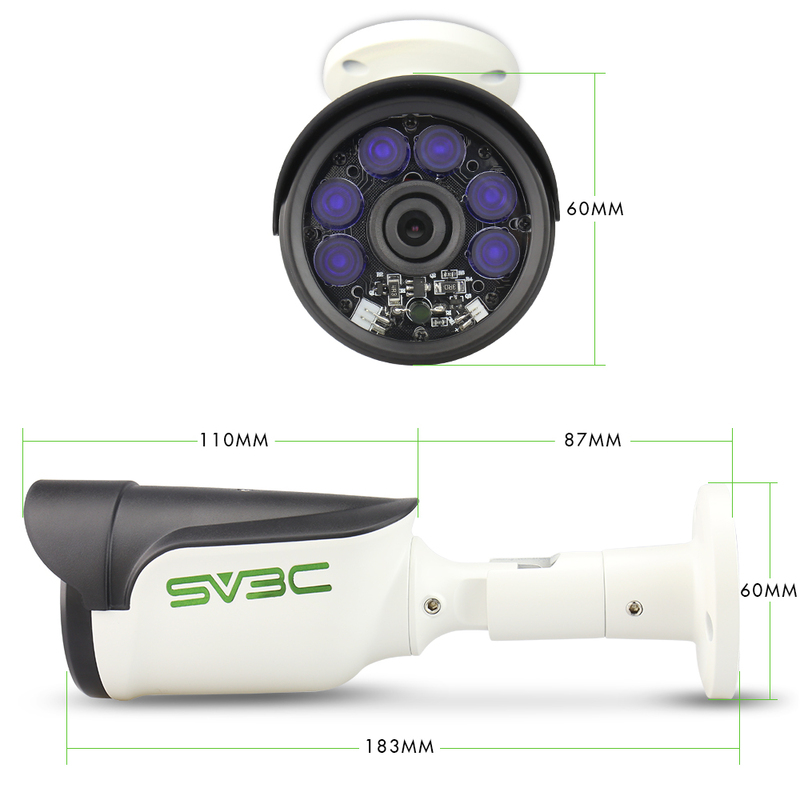 NIGHT VISION: 6 Pcs Big IR LED lights offer you with 20M night vision distance, please don't worry about dark night. WEATHERPROOF: It is IP66 Level waterproof. And we use steady aluminum case for extra protection to ensure our camera can use outdoor even under rain, snow etc bad weather. Record and Playback: You can use our free APP, NVR or BLUE IRIS. Remote viewed by Iphone/Andriod Phone, pad and Windows PC anywhere anytime. Does not support Macontish PC for view.